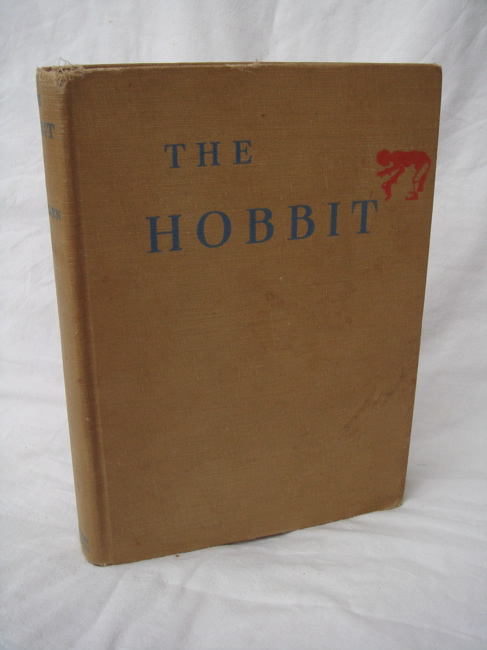 #PC000017 - 1st US Hobbit 1938 3rd State - Near Fine - A wonderful copy of an extremely collectable book. 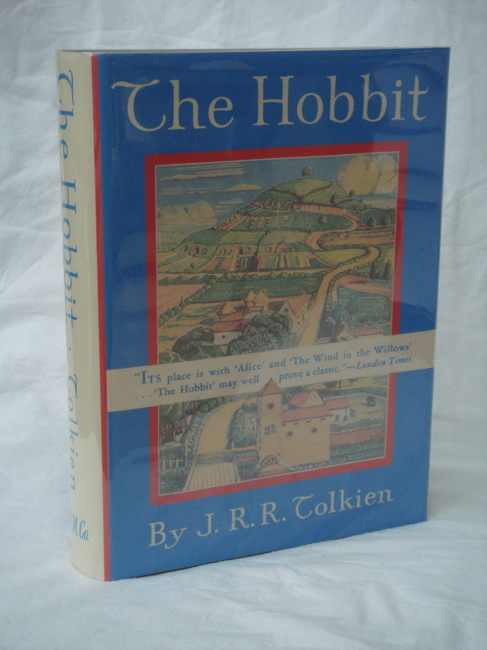 This book features the 4 color and 9 black and white illustrations by Tolkien, all of which are present and in extremely clean and bright condition. 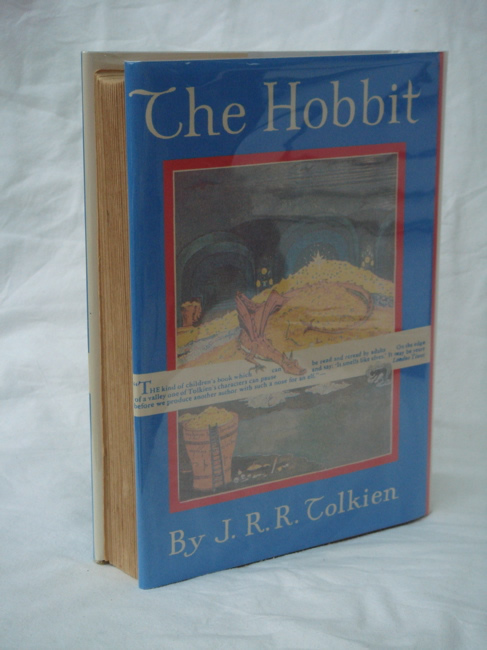 This is the 1st Edition, 1st Impression, 3rd State, with the publishers device on the title page. 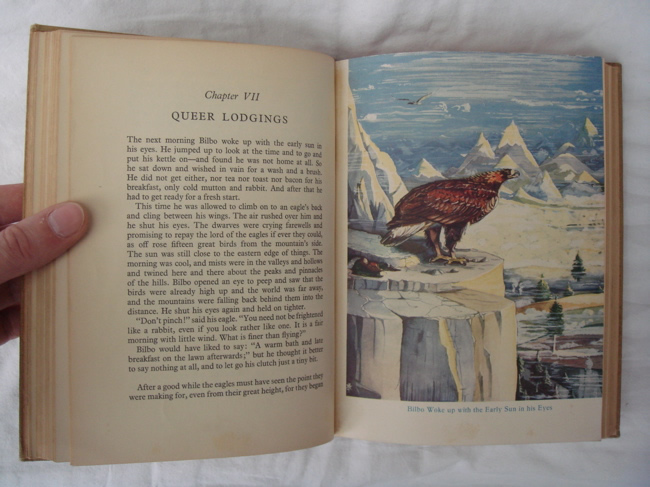 The maps are bound to the order of the List of Illustrations, as per Hammond and Anderson. 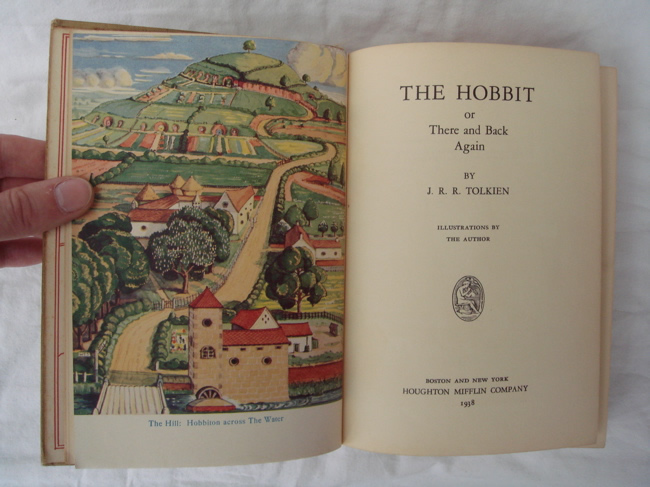 This book features the 4 color and 9 black and white illustrations by Tolkien, all of which are present and in extremely clean and bright condition. 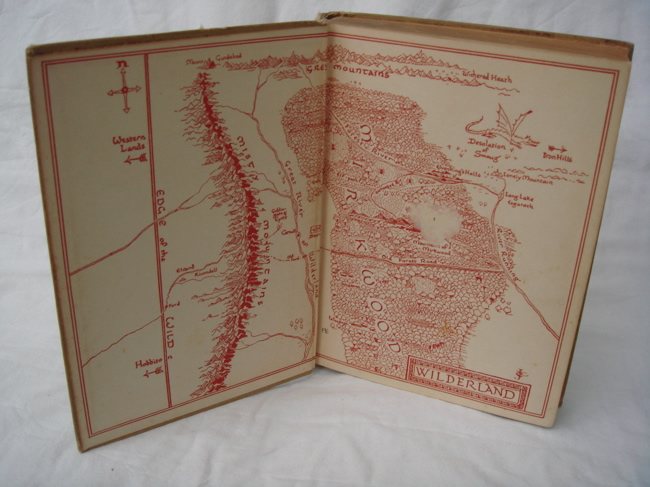 There are no names or writing in the book, but it does have a small white spot on the front endpaper (map) - where a label seems to have been removed. 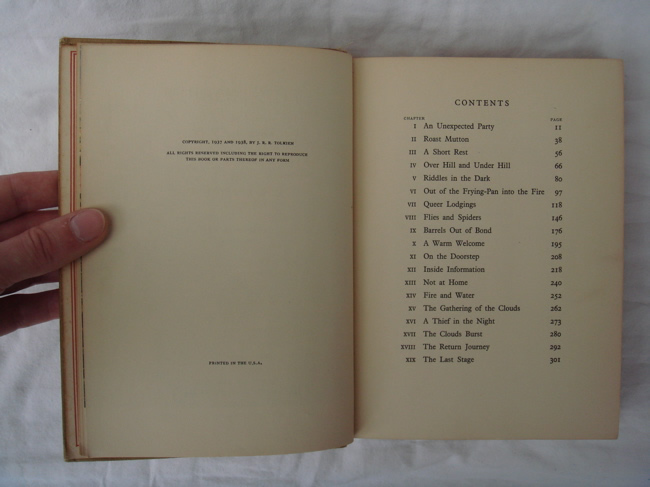 The text block is tight, without any seperation from the binding. The original cloth shows light shelf wear on the edges, very clean and unmarked, with some slight wear marks at the edges of the boards. 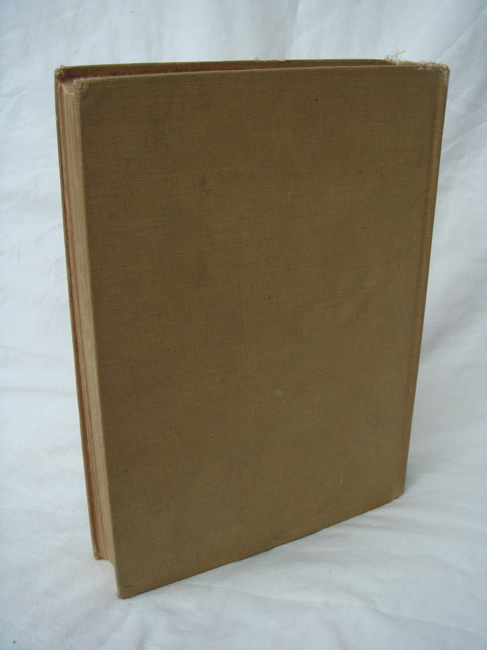 I have provided a one piece facsimile of the very rare 1st Dustjacket, along with a custom slipcase, to protect and show this classic of modern fiction.